My work started as a choreographer as I undertook the International Dance Course for Professional Choreographers and Composers from Sara Rudner the disciple of Trisha Brown working under the principles of the Judson Church Group New York, USA. The course was so intense, radical and ground breaking that still today I am working with these same principles some 20 years later…working with the understanding that movement and movement alone is a language, using pedestrian movement, dissecting it, and reanalyzing its content, a meaning takes place. Defined movement or a so called dance language is a language spoken through a different medium that touches different sensory parts of the body, a language of transferal, space, time and connection which can be spoken collectively or individually. This form of communication is through association and emotion, time and space, freedom and limitation, and is rather a gut feeling, that then gets intellectualized by the brain, as opposed to the other way round. So I believe a part of a directorship of a dance company must also be showing and explaining this dance language we speak. My contacts range from Yvonne Rainer, Grizedale Arts GB, Jeremy Deller, Johnathan Meese to Marco Goecke, Gaetano Sotto, Wayne McGregor Crystal Pite, William Forsythe and Jerome Bell to name but a few. 1977 - 89 Festival Ballet, London (Dir. : Beryl Grey). Irish Ballet, Dublin (Dir. : Joan Denise Moriaty). Basel Ballet (Dir. : Heinz Spoerli). David Howard and Diana Cartier). 2009 Petruska for Ballet Györ Hungary, Joyce Theater New York. 2008 Erratum Musical a by accident project. 2002 Ballet Director, BP, Theater Pforzheim. 2001 Hetero/Retro for the Ballet of Staatstheater Kassel. Anapnoë for the Ballet of Staatstheater Wiesbaden. Die Bakchen after Euripides for the Ballet of Landestheater Detmold. 2000 Mavi for the Ballet of the National Opera of Turkey, Ankara. AkzepTanz for the Ballet of Landestheater Detmold. 1999 (Im)paired ground for the Stuttgart Ballet. Anima e corpo for the Königsfelder Festspiele, Switzerland. Körper-Sprache-Körper for the Ballet of Landestheater Detmold. Soul for the Ballet of Landestheater Detmold. and Redwood Empire Ballet, Santa Rosa, California, USA. 1996 Intellectual animals for the Ballet of Staatstheater Mainz. Hochschule für Musik und Darstellende Kunst, Frankfurt/M. (Dir. : Nigel Osborne and Sara Rudner). Movement/Space for Ballet Junior, Geneva. 1994 Esther for the Königsfelder Festspiele, Switzerland. Isabelle for the Eurovision Ballet Competition for Swiss television. Auf Rechten Gang Dancer/Cello project Staatstheater Wiesbaden. 1990 Yerma for the Königsfelder Festspiele, Switzerland. 1984 Studies as part of a young choreographers evening for the Basel Ballet. Rendu Visible (2015) 20 Min; Music: D. Copeland, W. Kilar, S. Barber; Stage/Costumes: J. Sutherland; Licht: A. Schmitt, J. Sutherland; Première: BallettPforzheim, Theatre Pforzheim. Origami, Splithoughts (2015) 75 Min Music: Bjork, R. Ikeda, O. Arnalds; Choreography: Tu Ngoc Hoang, Ermanno Sbezzo; Concept: J. Sutherland; Stage/Costumes: V. Hemmerlein; Licht: A. Schmitt; Première: BallettPforzheim, Theatre Pforzheim. Sacre (2015) 85 Min; Music: Bang on a Can (David Lang, Julia Wolfe), A. Pärt, I. Stravinsky; Stage/Costumes: V. Hemmerlein A. Tasic, J. Sutherland; Licht: A. Schmitt, J. Sutherland; Video: Tai Zeng; Première: BallettPforzheim, Theatre Pforzheim. FH Pforzheim for Design, Counter Tenor; D. Lager: Disused Slaughter House, Pforzheim. R. Eikmeyer Video: R. Eikmeyer, J. Sutherland; Première: BallettPforzheim Theatre Pforzheim. Theatre Reutlingen Die Tonne, Planie 22. Première: BallettPforzheim, University for Media Technology Furtwagen, Theatre Pforzheim. Badische Symphony Orchestra, Theatre Pforzheim. Première: BallettPforzheim, University for Media Technology Furtwagen,Theatre Pforzheim. 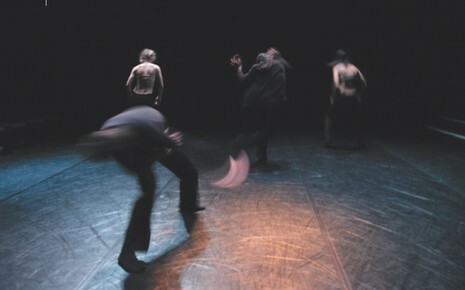 A. Andreeva, M. Peres; Premíere: Kunstverein Pforzheim, The Cube and BallettPforzheim. Soloist and Choir of the Opera, Badische Symphony Orchestra, Theatre Pforzheim. Première: Györ Ballet Hungary. Jan 2010 Joyce Theater, New York USA. Choir of the Opera, Theatre Pforzheim. Première: 3 Projector Video installation; DVD: BallettPforzheim. Première: In context with the Face/off exhibition, BallettPforzheim Theater Pforzheim. Première: BallettPforzheim, Badische Symphony Orchestra, Theatre Pforzheim. J. Carr, J. Adams; Stage/Costumes: C. Stump;: Première BallettPforzheim Theater Pforzheim. Costumes: E. Haub;: Première BallettPforzheim Theater Pforzheim. Costumes: C. Heinrig;: Première: Ballet of the Landestheater Detmold. Quartet of the Landstheater Orchestra Detmold. Costumes: U. Frühling; Première: Ballet of the Hessischen Staatstheaters Wiesbaden. Costumes: M. Engel; Première: Ballet of the Landestheater Detmold. Première: Ballet of the Landestheater Detmold. Première Istanbul and Ankara: Ballet of the National Opera of Turkey, Ankara. Première: Junge Ballett Kompanie Hessen, Frankfurt/M. Recreated for Redwood Empire Ballet, Santa Rosa, California, USA. Première: Ev. Kirche St. Peter auf dem Berg, Taunusstein-Bleidenstadt. Première: Ballet of the Staatstheater Mainz. James Sutherland; Première: Ballet of the Staatstheater Wiesbaden. Installation: Michael Vessa Costumes: James Sutherland; Première: Gallery Litttman, Basel. Costumes: K. McNurney; Première: Ballet of the Stadttheater Luzern. Schweizer Kammerballett, Vocalensemble Zürich, Königsfelder Festspiele, Switzerland.